It’s being reported that two men have tragically been killed while helping Independence of the Seas cruise ship depart St.Kitts. 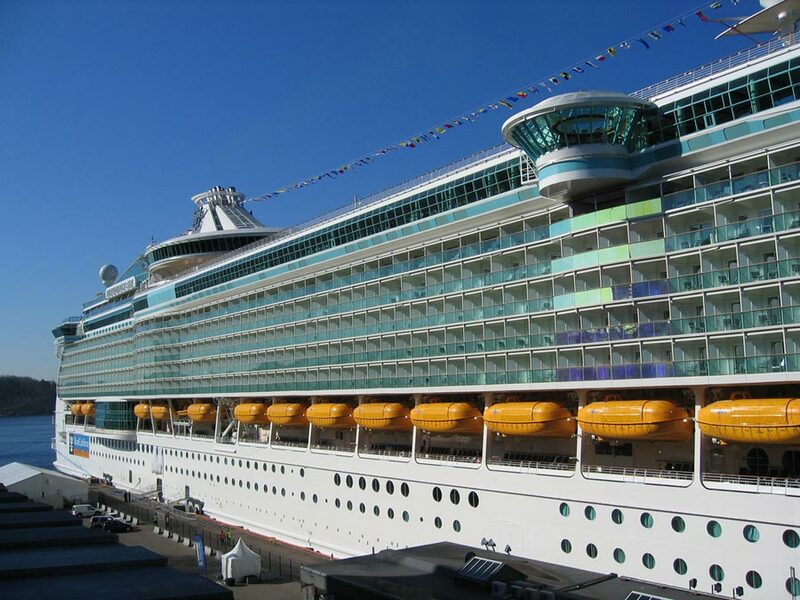 The ship is operated by Royal Caribbean and is one of the largest cruise vessels in the world. The tragedy happened yesterday evening 2nd April. According to the Times Caribbean Blog the two men were helping with the unberthing process from a small berting boat. Apparently the boat overturned and the two men went overboard. The site also reports that eyewitnesses said that the small boat wasn’t given enough time to clear the Independence of the Seas. The ships huge azipods which help maneuver the vessel may have produced some waves which could have overturned the small boat. The men were reportedly sucked underwater and drowned. Independence of the Seas and Celebrity Silhouette which was docked right next to the ship both launched rescue operations but with no success. Cruise Law News has also reported on the tragedy and the site reports that passengers said the Independence of the Seas did not launch a rescue fast enough and Celebrity Silhouette even slower. The 154,407 ton Independence of the Seas is currently on a 8-night Eastern Caribbean cruise which began Fort Lauderdale, Florida on 29th March 2014.